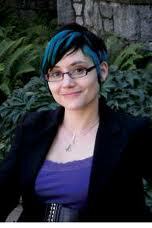 GCI Group announced this week the addition of Dr. Jaigris Hodson as Director, Social Media and Research. Jaigris will support all practices and integrated client campaigns through the application of social media and research strategy. Jaigris is a Canadian social media commentator whose background in digital communication, content strategy, social media planning, trend tracking and analytics lends itself perfectly to her new role at GCI. Jaigris has been an independent social media consultant in Toronto featured in media outlets such as the Globe and Mail, City TV and Zoomer Radio. Prior to joining GCI, Jaigris completed both Masters and Doctoral research in the field of digital communication with a particular focus on social media. Jaigris’ extensive research work has resulted in several published articles on video gaming, social media, and digital trends for a number of academic and non-academic publications, including the international journal of Technology, Knowledge and Society, and the Canadian Journal of Communication. Jaigris has also taught social media and digital literacy at the Ted Rogers School of Management, Ryerson University and the new Masters in Digital Media Program, Ryerson University which she helped to create.